Coming into this season, the Mets did not build a very strong team. Sure, there was the good young pitching and David Wright, but there was a shallow bench and no everyday SS on the roster. Quintanilla’s first fill-in role in 2012 was his Carter best year with him hitting .257/.350/.371 in 29 games before he was traded to the Orioles. 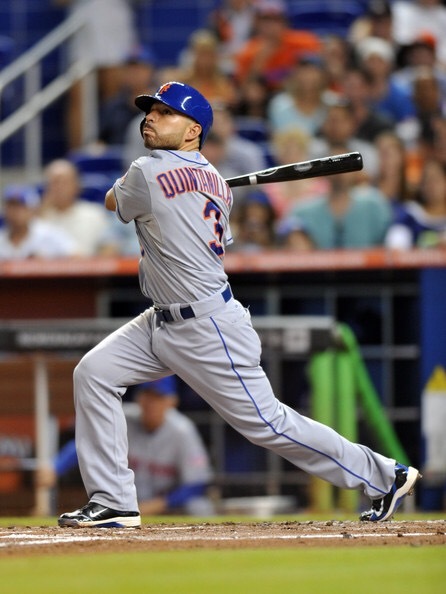 In the second act in 2013, he would wear the number 3 for the 74-88 Mets. This time around he would only hit .222/.306/.283 in 95 games, arguably the worst year in his career. Quintanilla would change numbers again in 2013, but he wouldn’t have any better luck in what would be his last year in the majors. Quintanilla reminds me that no team should hand anything to a player. They should have to earn it. As case in point, after having to fight to get a job, Tejada is having the best year of his career with a strong September where he’s hitting .405/.476/.568. This is all a result of the Mets having a strong roster where players have to earn their playing time. We’ve seen with past Mets teams this lack of competition leads to complacency and poor play. You then have to overplay people like Quintanilla, who give it their all, but are unfortunately limited players. So let’s tip our caps to Magic Number 3 Imar Quintanilla for reminding us that it’s a good roster with good internal competition that drives a team forward.